The PILOT range is for all riders over 15 (including adults, of course!) and is the best product to ride on selective tracks. 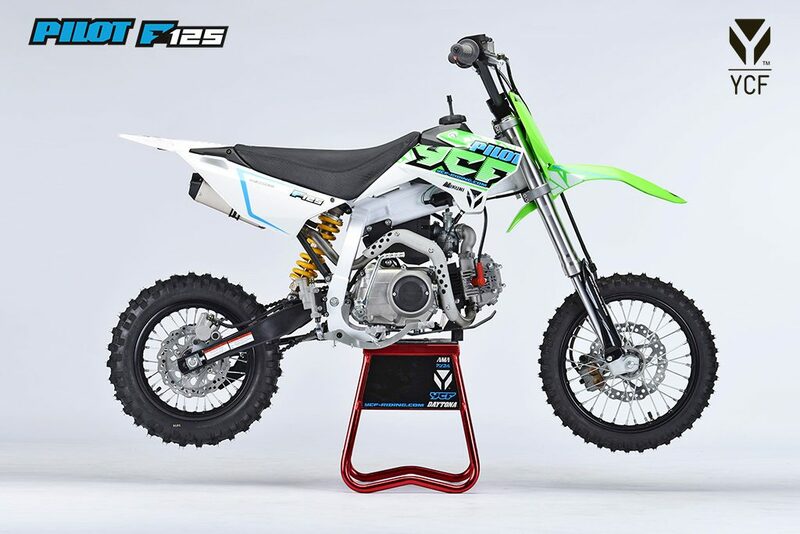 With a bigger frame than the START (1170mm wheelbase, 790mm seat height, 12’’ rear wheel and 14’’ front wheel) this YCF PILOT F125 is more stable to ride on rough and bumpy tracks. The PILOT F125 has a 125 YX engine (10 cv), which is one of the leaders in the market.